We were lucky enough to be sent some new minion beanboozled Jelly beans to try. I say lucky but some of the flavours consisted of dog food, dead fish & rotten egg to name a few. We haven’t got the actual spinner for the game so my partner and my daughter wrote down the colours on bits of paper, put them in a bowl and then whatever colour they pulled out they had to eat. It started off well with a few tutti-fruitti & coconut flavours being picked out, but it wasn’t long before mouldy cheese and barf hit the palette making eveyone gag! Haha! It was like watching a bush tucker trial…yes I admit it…I didn’t play. You need a strong stomach for it. Lulu picked her paper out the bowl…it said green. 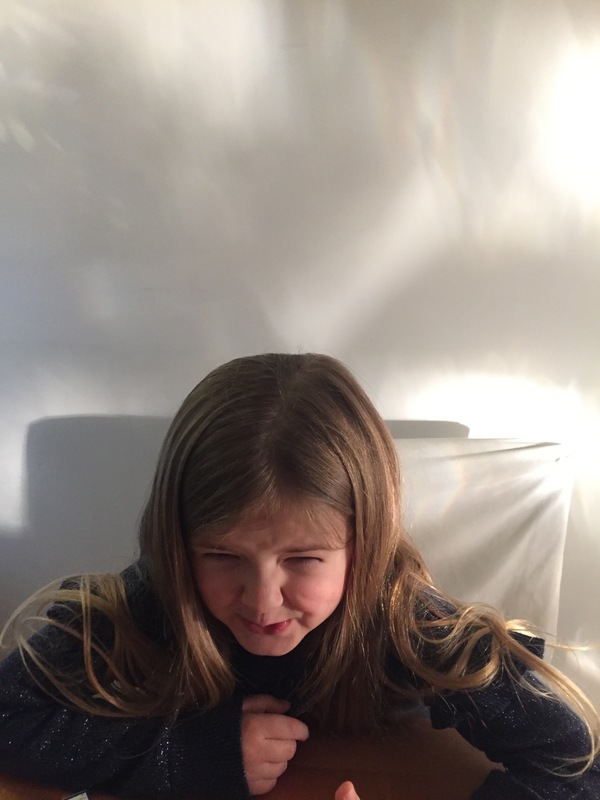 She popped a green jelly bean in her mouth then promptly ran off to the bathroom, my partner then picked green aswell and after the first bite his face turned the same colour. He also ran off to the bathroom – it seems minion fart was this houses breaking point 😷 great game and great fun just stay away from the green ones!